Most of the cruises from Ft Lauderdale in 2018 and 2019 go to the sunny islands of the Caribbean. They are a great escape. There are also cruises through the Panama Canal, to South America, and to Europe. 2 Day Cruises from Fort Lauderdale to Nassau. The shortest little cruises available. 3 Day Cruises from Fort Lauderdale to the Bahamas. Quick short cruises. 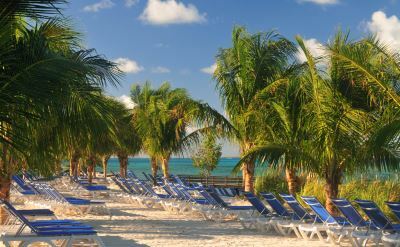 4 Day Cruises from Fort Lauderdale to Nassau, Half Moon Cay, Key West or Cozumel. 5 Day Cruises from Fort Lauderdale to Cozumel, Costa Maya, Jamaica, Labadee, Amber Cove, Grand Turk, Grand Cayman or Half Moon Cay. Aruba cruises venture deep into the Caribbean. There are many departures throughout the year. Bahamas cruises go to Nassau, Freeport and sometimes to a private island. The islands are close to Florida and are often the destination of the shortest cruises. Cuba cruises out of Ft Lauderdale are available on three cruise lines. All itineraries include Havana. 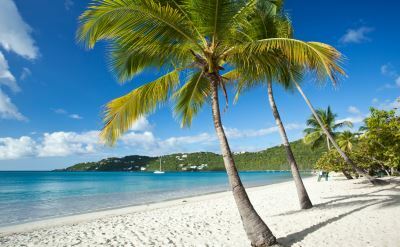 Eastern Caribbean cruises go to islands including St Thomas (US Virgin Islands), Grand Turk (Turks & Caicos), Antigua and St Maarten. Others are on the variety of itineraries too. All are small, beautiful and utterly relaxed. An advantage of an Eastern Caribbean cruise is that the islands are relatively nearby, so you usually avoid long days at sea. Hawaii cruises are one-way to Honolulu. These long and adventurous trips are rare. Panama Canal cruises out of Fort Lauderdale are one-way trips to San Diego or Los Angeles. Others are round-trips that don't go all the way through the canal. Either way you get to experience one of the man-made marvels of the world, and visit island paradises along the way. South America cruises may go to the Amazon, down to Antarctica or all the way around the continent. The itineraries include a wide variety of ports of call. Southern Caribbean islands are farther from Florida so be ready to spend a day at sea to get there. 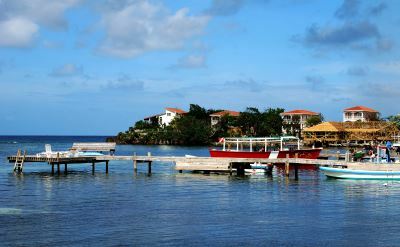 Itineraries include stops at places like Barbados, Curacao or Bonaire. The Southern Caribbean is generally less overrun with tourists and a bit classier. Transatlantic cruises to Europe are available out of Ft Lauderdale every spring. Ships move to the Mediterranean or northern Europe for the summer and you can go along for the ride. It's the luxury way to travel to Europe. Western Caribbean cruise destinations may include the island of Cozumel (Mexico), Grand Cayman (Cayman Islands), Jamaica, Belize, or Roatan. Cozumel is a resort party island from which you can take an excursion to an ancient Mayan city. Grand Cayman is good for snorkeling and swimming with stingrays or turtles. Jamaica is just plain fun. Christmas Cruises from Fort Lauderdale. New Year Cruises from Fort Lauderdale. Thanksgiving Cruises from Fort Lauderdale.